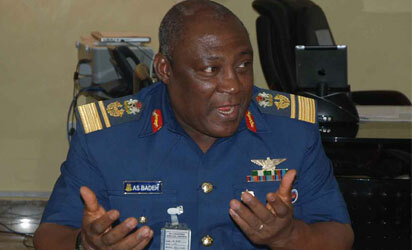 Family of late former Chief of Defence Staff, Air Vice Marshal, Alex Badeh, yesterday, refuted claims by the suspects linked to his death that they killed him to seize alleged huge sums of money he had on him to buy farmland. The family insisted that contrary to the claim, Badeh did not discuss any issue about the acquisition of land neither was he with up to N500 on the day he was killed. This came as Police authorities failed, yesterday, to parade five suspects, including two masterminds of the December 18 killing of Badeh. The five suspects who the media expected would be paraded, yesterday, at Force Headquarters, Abuja, were not paraded as the Police said doing so would jeopardize ongoing investigation and efforts to arrest other members of the gang still at large. Refuting the cause of death, the family said the claim was a “cook-up story to deceive the public and hide the killers and their intentions.” The family called Vanguard to the late Chief of Air Staff’s Abuja residence, yesterday, to react to the claim by the suspected killers that he was killed because of the huge amount of money he had carried to his farm in Panda Development Area of Nasarawa State, to buy additional land. But while delegating only one member to speak, the family insisted that the name of the representative be kept secret. Speaking, the family member said: ”We called you here because we have been following your report in Vanguard since our son and brother, Air Chief Marshal Alex Badeh, was killed by yet-to-be identified people. “We are not happy with the report being put out to the public there on the circumstances that led to his death. We as a family, believe that some people responsible for his death want to deceive the public by hiding the facts of what happened, how it happened and those responsible. “I want to emphatically tell you here that contrary to the claim that he went to his farm on the fateful day with huge amount of money to buy additional farmland, there was nothing like that. In fact, he had no money on him that day, not even N500 in the vehicle. “As I told you, no money, I repeat, no money was in that vehicle. Not even N500 was in that vehicle on that day he was killed.